While clowns have brought smiles to the faces of many children, both healthy and sick, the latter clowning generally has been done on a volunteer basis and without the presence of a medical team. Recently, however, Israel became the first place in the world to recognize the medical benefits associated with positive attitude and laughter. 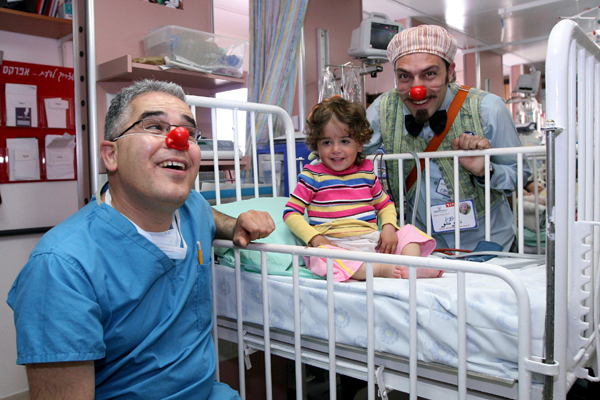 Most Israeli hospitals now offer clown therapy and, due to its growing acceptance and success, the University of Haifa will be the first to offer a clown degree. This all started with Jacob Shriqui, an Israeli shaliach to Geneva who went on to work in Israel’s health-care industry. Once he retired, Shriqui returned to visit some friends in Geneva and was invited to a meeting in a hospital in Lausanne. When he entered the hospital, he got lost and, in his wandering, he happened to walk by the pediatric department. To his surprise, he saw a giggling child out of the corner of his eye. Upon further investigation, he noticed the clown who was making the child smile. 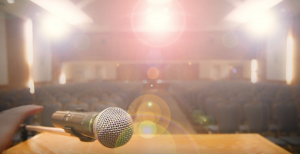 “The idea came to him that if there is a thing like that, it should also be in Israel, because, until then, there was no medical clowning in Israel,” said Daniel Shriqui, Jacob’s son and past director of the Dream Doctor Project. When he returned to Israel, Jacob Shriqui used his connections from the time he was stationed in Geneva to create the Magi Foundation, with its main function being the Dream Doctors Project in Israel. Built with the help of philanthropic members of the Jewish community in Geneva, in September 2001, the project started off with three clowns. After a year of experiments and positive feedback, he went from hospital to hospital proposing the concept. From the start, the medical clowns in the hospitals were part of the medical team, a situation desired both by the hospitals and by the clowns. “We work as part of the medical team because we believe that medical clowning is a medical profession, just like any other, and that it can be very successful,” said Daniel Shriqui. “But first, we had to convince the doctors and nurses of the benefits of having a clown when you take blood from the veins of a child. The child doesn’t cry because the clown is acting and playing with him. “Another example is when a child is taken for a repair surgery after being sexually abused. Typically, the first test after that is done by the doctor, and by the clown paralleling, and everything is recorded. Another part of the hospital-clown agreement is that the hospital gets the clowns’ services for one year for free with no obligation and no contract. If after one year, the hospital is happy with the results and wants to continue with the project, the hospital needs to start participating in the payment for the clown services. “We knew we were here to stay when, last year, the head of the Ministry of Health in Israel called and said, ‘I need your clowns immediately,’” explained Shriqui. “‘We’re going to vaccinate all the children in Israel under nine years old for polio. We’re going to open almost 1,000 vaccination stations and I need all your staff, more than 100 clowns, to be present in the station to help us to do this.’” For the first three months, most of the clowns went from station to station and helped the nurses vaccinate the children. The increasing demand for hospital clowns is coming from within the medical field. The project works to fill the requests for services, but sometimes hospital budgets do get in the way. “Especially in the oncology department, the children often are in the hospital for a really long time,” said Shriqui. “Unfortunately, many times it ends by the death of the child. But, during these months, sometimes years, there is a special relationship formed between the clown and the child, because our clowns work at the same place for years. 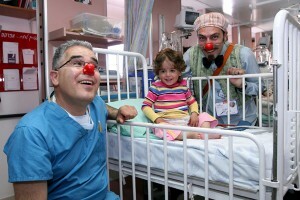 The project held a conference in October 2011, where clowns from around the world came to Israel.